This is a guest post from Jack Smith. Poaching has been around almost as long as people have been hungry, but only became an offense during the late middle ages when the right to hunt was limited to landowners. Clearly, back then the reasons were to protect the nobility’s right to sport rather than for wildlife conservation. Things changed somewhat during 1700’s, at a time when poaching was a means of survival for many. Poaching gangs began selling on the black market and this brought about the beginnings of the poaching industry we know today – poaching for profit – putting wildlife in peril along the way. It wasn’t until the 1900s when governments began legislating in an effort to protect wildlife. The Migratory Bird Treaty Act was one of the first international agreements to protect migratory birds being killed or sold for profit. The 1960s saw the Convention on International Trade in Endangered Species on Wild Flora and Fauna (CITES) leading up to the Endangered Species Act in 1973. This was followed by the global ivory ban in 1989. While many people are allowed to hunt and fish for food and population control, many animals, such as elephant, tigers, rhinoceros and bear are poached for their body parts. The illegal ivory trade has been well-documented in the media, but bear, rhinoceros, pangolin and tiger parts are sought for eastern medicine, even though most of these treatments has no proven medical value. This has resulted with many species decimated, threatened with extinction or, as in the case of the Western Black Rhino, wiped out altogether. The statistics make sad reading. A 2010 United Nations report suggests that gorillas could disappear from the Congo basin by the mid-2020s. 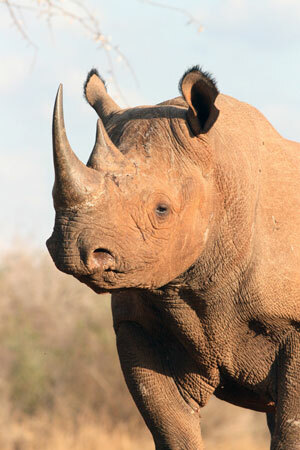 The Black Rhino population has been reduced by 97.6% since the 1960s. There are thought to be fewer than 900 mountain gorilla left in Africa[ii]. 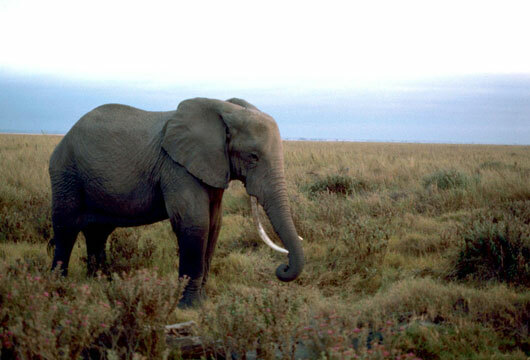 During 2011 alone, around one of every twelve African elephants was killed by a poacher. Governments have taken action. More than 154 nations having signed treaties to regulate the trade of 30,000 species of threatened animals and plants, but poaching is just as big a problem now as it’s ever been. Rhino poaching is at a crisis point, with bigger numbers being killed year-on-year for the six years leading up to 2016. [v] You can see the figures here. All five remaining rhino species are on the IUCN’s redlist of threatened species, with three of those classified as ‘critically endangered’. This is thought to be due to growing demand in Vietnam and China. Furthermore, Paul Allen’s Great Elephant Census found that approximately 100,000 elephants have been killed in the past four years alone. But the sad fact is animal trafficking and seizures of animal parts continue to grow annually. Law enforcement does deter poachers, but there is no single answer to the problem. A number of strategies are needed, including armed patrols, community conservation/environmental education, captive breeding and translocation schemes. In April, Kenya’s president put a torch to 105 tonnes of ivory worth $105 million on the black market, sending out a clear message to poachers and traders. [vi] Conservation efforts in India have actively increased rhino numbers after poaching peaked in 2013. It has fallen every year since[vii]. However, there have been setbacks too. A legal sale of ivory to China and Japan from elephants that had died of natural causes in Africa in 2008 backfired. There was a spike in poaching after the sale. There have been increases in rhino poaching year-on-year in South Africa too, from 2007 to 2014. 2015 saw the figure fall slightly from a record high of 1,215 to 1,175 and 317 suspected poachers were arrested, but it really is the tip of the iceberg[viii]. Unfortunately, in the battle against poachers, park rangers are often outgunned. More than 1,000 have been killed in the past decade. All animals are vital in any habitat as they create balance in the ecosystem. Elephants, for example, open up forest land to create firebreaks and grasslands, and create water access for other animals by digging. They disperse seeds in their dung, which is also full of nutrients for plant growth. For these reasons, they are often called the ‘mega-gardeners of the forest’. If, like any species, elephants disappear, whole ecosystems get compromised, including our own, so it’s vital that we all take action to do what we can to prevent poaching. Learning more about the problem at sites such as savetherhino.org and savetheelephants.org is one thing, but you can also give up your time, fundraising at a local level. For those looking to make a much greater contribution, though, taking a year out from study or work and volunteering at one of the many anti-poaching or conservation schemes across Africa could be for you. Who knows? You could discover a new and rewarding career path while doing something really worthwhile for the planet we live in. [iii] Orenstein, Ronald. 2013. Ivory, Horn and Blood: Behind the Elephant and Rhinoceros Poaching Crisis. Buffalo, New York: Firefly Books. I contacted Defenders of Wildlife and years ago and talked to them about there mission statement. The reason I did not go with them was they were in favor if wolf numbers got to high they were in favor of hunting if need be. I was shocked. Perhaps that has changed.